We understand that the best engineering design does not guarantee a successful project. Proactive and comprehensive construction oversight is the key to delivering a successful project. Our philosophy in providing construction observation and administration services is that we are part of a team, with responsibilities critical to the success of the project. We understand the importance of communicating with and building a working relationship with contractors so they can meet the project goals, schedule, and budget at a level of quality expected by our clients. 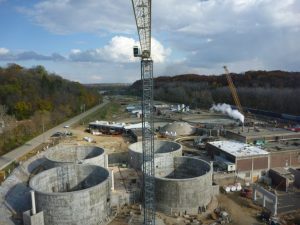 Many of our wastewater professionals have years of experience “in the field,” which gives them unique insights into designing projects that can be constructed cost effectively. This is particularly true when working at wastewater treatment plants. In addition to focusing on the quality of the construction, it is also critical to focus on operational parameters, both during and after construction. Making sure that permit compliance can still be achieved while a WWTP is being rehabilitated and/or expanded is not an easy task and requires careful development of plans, designs, and cooperation among all parties involved. 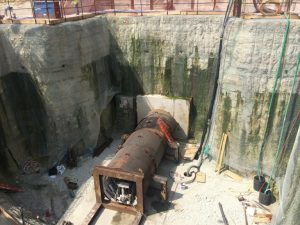 We have experienced wastewater operators that spend much of their time working with our construction services personnel and assisting our clients with operational concerns during construction. We also have found that another critical component to long-term project success is training our clients after construction to maximize the value of their investments. Our combination of experienced construction services personnel and operators are part of the project team from the start of design, which provides the knowledge necessary to make certain our clients receive the full value of their construction dollar, minimize start-up issues, and create opportunities to identify value-added services that can be performed concurrent with construction.